Chanel's Christmas/holiday 2013 makeup collection (Nuit Infinie de Chanel) has part-launched since 15th of November. I say part launched, because the gorgeous eyeshadow palette hasn't hit the stores just yet (apparently it was delayed and will be out on the 21st, if anyone's interested). Anyhow, I'd probably split the post out in either way, as I'd like to talk about the Illusion d'Ombre shades on their own... there are two released with this collection, both are LE and both are gorgeous. Per Chanel, Silvery violet plum taupe. Per me, it's a neutral (neither particularly cool or warm) dusky silvered purple. Tomaytoes, tomahtoes. 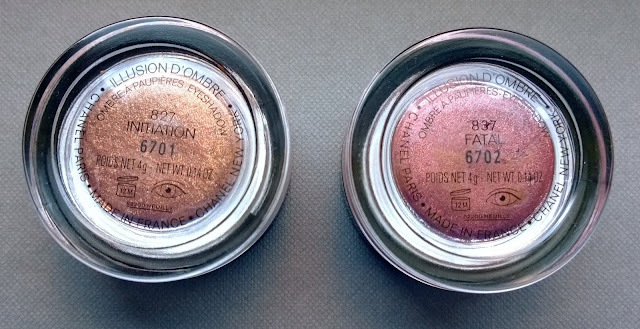 Finish-wise, it's got that Chanel Illusion d'Ombre slightly shimmery, slightly frosted, slightly metallic finish. Similar to most Illusion d'Ombre shades, it's very soft, and slightly sheer , and can be built-up to a reasonable degree. 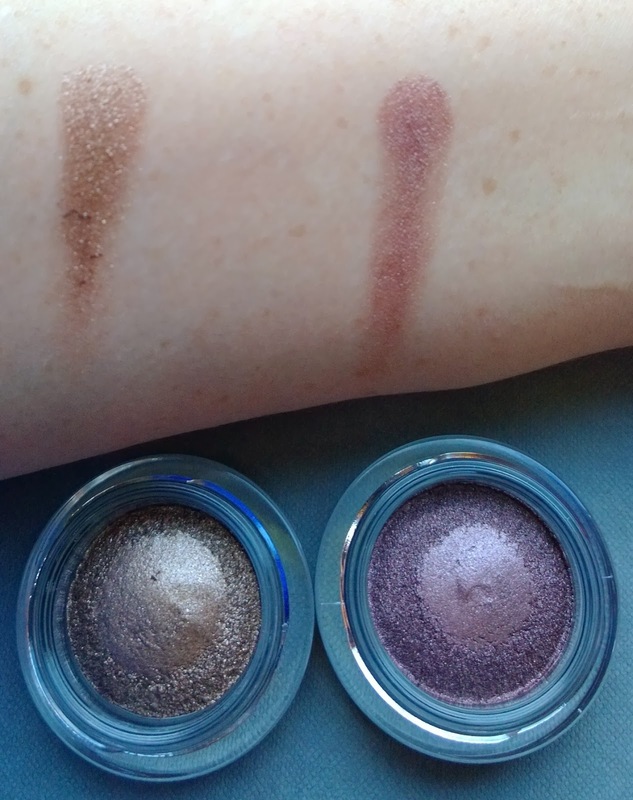 It reminds me personally of a mix between MAC Trax and MAC Star Violet (although both are pressed powders), with a hint of a warm brown undertone if you squint and look sideways at it. This one is quite shimmery - almost wet-look shimmery on application. It's LE. You can see it in comparison with the other Chanel Illusion d'Ombre purple-ish shades. 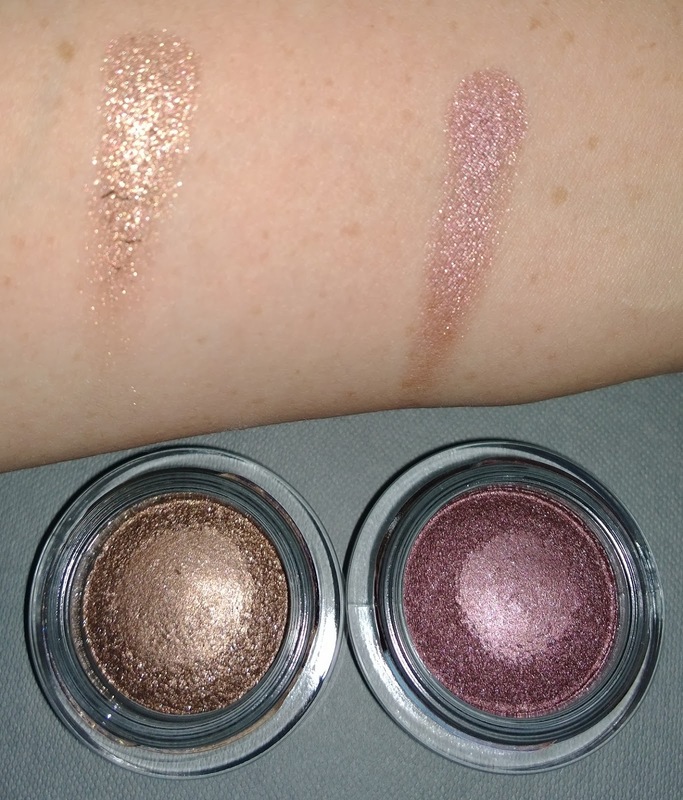 Fatal is kind of a mix between Illusoire and Ébloui (so if you're as obsessed by this formula as I am, and you have these two, you can mix them to get to Fatal). (Which, for some reason, I persist in calling Irritation, duh). Per Chanel, Platinum bronze. Ooooooooh this is just gorgeous - it's very different. Managing to be both a bronze and a cold, pale yellow-based champagne gold at the same time is impressive, this is not an orangey-based bronze at all at all. I've been wearing this as a day-time makeup (patting a matte shade on top) and dressing it up as an evening-time one too. 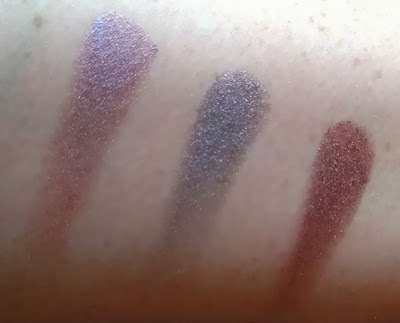 Pay-off wise, I have found this one actually slightly better than most Illusion d'Ombre shades, and again it can be worn sheer or built up to be more opaque, and again, it has that metallic-shimmery finish. I anticipate wearing this one a lot, as it's that great day-or-night shade that looks classy and elegant - how and ever - this one does contain quite a bit of sparkledy glitter too (I've found this can wear off leaving just the colour mind). I think this also will be a beautiful base for metallics/glitters/duochromes. Again, LE. Look here for more information on this collection. I hope to have more information on the palette early next week, assuming that it arrives in on Friday as planned!